If you are one of the many people that struggle with fullness under your chin, you’re not alone. Submental fat (fat under the chin) affects a broad range of both male and female adults and can be caused by a variety of factors including aging, weight gain, or genetics. Submental fat can be resistant to diet and exercise, making you appear older or heavier than you actually are. In a 2014 consumer survey conducted by American Society for Dermatologic Surgery, 68% of participants expressed being moderately to extremely bothered by excess fat under the chin/neck. Liposuction used to be the only successful way to eliminate submental fullness until now! In 2015, Kybella became the first and only FDA-approved injectable treatment, offering patients a noninvasive option to improve the appearance of their double chin. The cutting-edge treatment takes only minutes in the office, and the final results are dramatic. 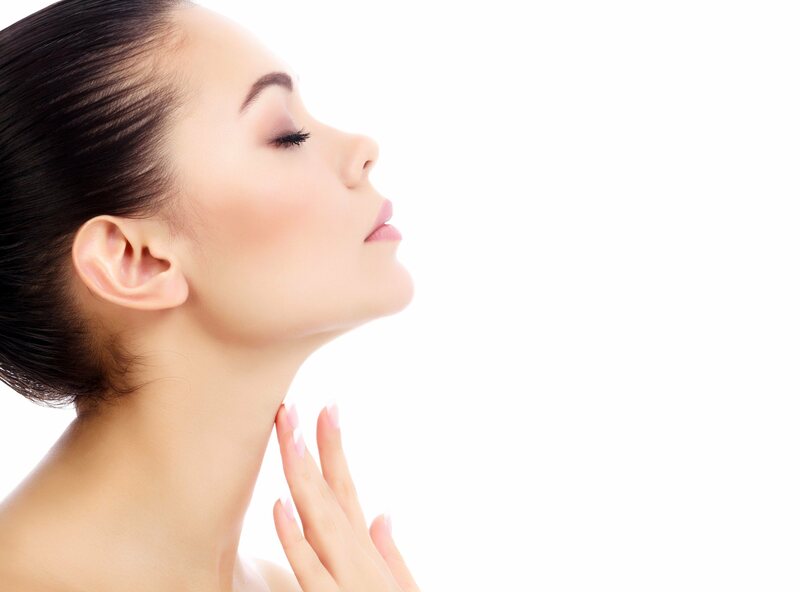 Kybella can produce unparalleled results in areas showing moderate to severe submental fullness, giving your jawline a smoother, tighter appearance and taking years off of your appearance. Kybella is created from deoxycholic acid, a naturally occurring molecule in the body that aids in the breakdown and absorption of dietary fat. Once Kybella is injected into the submental fat under the chin, the body begins to slowly dissolve and metabolize the fat cells, simultaneously sculpting below the chin. Our Nurse Injectors tailor each Kybella procedure to the individual patient’s unique needs. Depending on the severity of submental fullness, between two and six sessions may be required for optimal results. The number of treatments needed will be determined during your Complimentary Consultation. If you’re ready for a quick, noninvasive way to restore your youthful appearance, call (480) 451-1700 to determine if Kybella is right for you.